Faced with a choice between her harsh farming life and the seductive but distant world of books and learning, Chris Guthrie eventually decides to remain in her rural community, bound by her intense love of the land. However, the intervention of the First World War leaves her choice in tatters. Chris is now a widowed single mother: her farm, and the land it occupies, is altered beyond recognition - trees torn down, people displaced. But although the novel describes a way of life which is in decline, it also presents a strong image of hope. Chris adapts to her new world, displaying an intuitive strength which, like the land which she loves, endures despite everything. 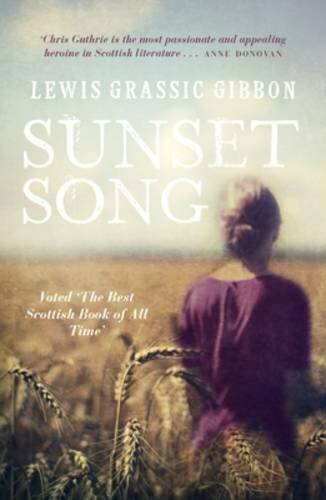 Sunset Song is a testament to Scotland's agricultural past, to the world of crofters and tradition which was destroyed in the First World War. It is a powerful description of life in the first few decades of the century through the evocation of change and the lyrical intensity of its prose.